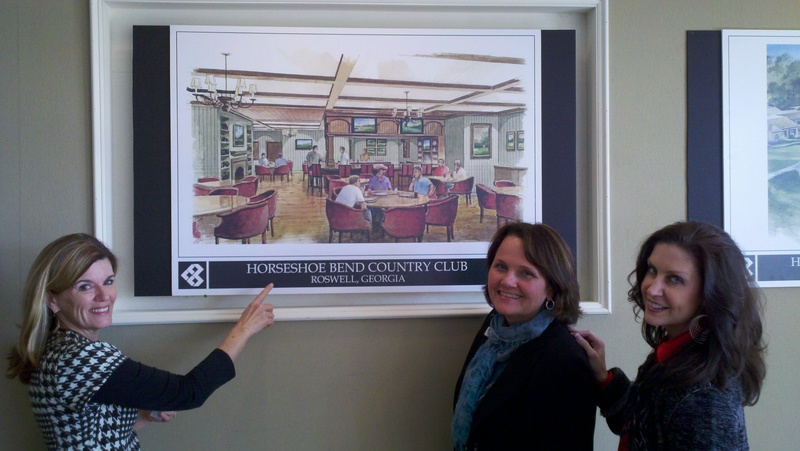 Janet, Diane and Michelle take the tour of Horseshoe Bend Country Club to see how the renovation is coming along. WOW… this place is going to be awesome! The above photo is a rendition of the new look for the mens locker room. The greens are being overhauled and the clubhouse will be totally updated including beautiful lounges, porte coche, solarium, and outdoor gathering patio. Diane and Michelle are residents of Horseshoe Bend and the WOW team of Keller Williams represents many buyers and sellers in this much sought after neighborhood. Horseshoe Bend is under new ownership and the synergy is growing along with the new members. Membership fees and initiation fees will be going up in 2012 so if you want an awesome value don’t wait! Give the gift of health and fitness for Christmas in 2011! Wishing everyone a blessed holiday season ~ we feel so blessed to have you in our lives and look forward to another great year in 2012!